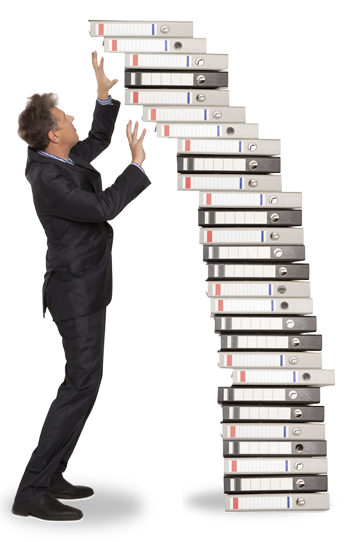 Paperwork is a book keepers business – it’s what they’re good at. There are many business owners that find the bookkeeping, end of year accounts and dealing with HMRC such a time consuming and stressful side to running their business that they’re also really not very confident with. Passing this task to a bookkeeper can release so much of this time that it can actually result in it being more cost effective than trying to tackle it themselves. Many businesses need to use an accountant for their end-of-year accounts preparation and calculation of Corporation Tax. Their accountants bill will often be substantially lower when a bookkeeper has been used during the year. This is because a bookkeeper knows what information accountants need and the if the accountants are confident that the bookkeeper has done a competent job, this will save the accountant the need for checking it. Lady of Ledger Bookkeeping Ltd has a good reputation with many of the accountants in and around the Telford, Shropshire area. Your paperwork is being regularly updated – giving you the information and Management Account Reports that you need to make important financial decisions. You’re staying compliant with HMRC bookkeeping obligations when running your business with regards to everyday accounts, payroll, VAT, self-assessment, Companies House etc – and in the not too distant future – quarterly reporting of your business figures directly to HMRC via bookkeeping software (Making Tax Digital). Your business bank accounts are being reconciled correctly – ensuring that all income and expenses are being recorded, not missed, which also helps to ensure that your Customers are paying you when they’re supposed to, and that you’re paying your Suppliers when you need to. You’re claiming everything you’re entitled to through the business that will give you an element of tax relief.